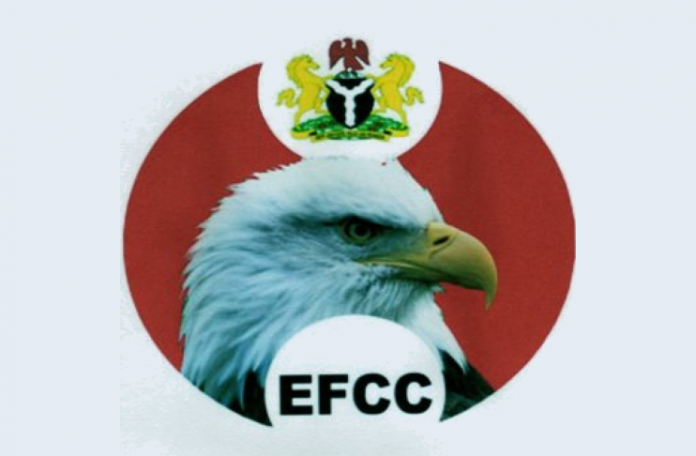 In view of suspicions of last minute withdrawals and shoddy financial transactions in states where their state governors won’t be in office from May 29,2019, the Economic and Financial Crimes Commission, EFCC is reported to be tracking the state account. Indications that the (EFCC) is tracking transactions on bank accounts of various states to prevent outgoing governors from stealing public funds became rife last week as concerns have been raised of dying minutes financial transactions some outgoing governors want to undertake. Apart from Imo State, the bank accounts of many states, including that of Kano, Kwara, Lagos and others, might also have been placed under the special watch. Online reports monitored in Abuja have it that the step by the EFCC was informed by intelligence report about suspicious financial activities by top officials of the concerned states. The inclusion of Imo as one of the states its account need to be monitored before handover date arises from development connected to the arrest of the Imo State acting Accountant-General, Mr Uzoho Casmir, arrested for allegedly withdrawing N1.050bn from the state coffers for vote-buying on the instruction of Governor Rochas Okorocha. Uzoho it would be recalled was arrested last week Thursday last week following intelligence report that the governor allegedly intended to use the money for vote-buying in favour of his preferred candidate in the March 16 governorship elections. The EFCC was also said to have exposed about N1bn cash withdrawal by the Kwara State Government, a week before the February 23 presidential and National Assembly elections. The acting EFCC spokesman, Tony Orilade, refused to deny or confirm the surveillance on the bank accounts of state governments as he simply said that part of the responsibility of the Commission was to prevent corruption. He said, “Whether somebody is leaving office or not is not the reason we are investigating, we have the mandate and by virtue of a Supreme Court pronouncement, anyone can be investigated. Winner of the Imo State governorship poll, Emeka Ihedioha, had enjoined financial institutions to halt new transactions with the state government or do so at their own peril.